Travelling Saint Kitts and Nevis is (relatively) safe. 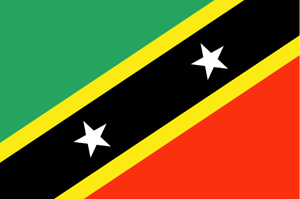 Saint Kitts and Nevis is a country in North America (Caribbean) with less than one million citizens and a land mass of 261 km². We detected travel advisories from 3 sources for this country. Exercise normal precautions in St. Kitts and Nevis. Read the Safety and Security section on the country information page. The Ministry for Foreign Affairs and Trade Promotion advises Maltese travellers to take normal precautions when visiting St Kitts and Nevis. The country is prone to hurricanes and tropical storms, with the latest hurricane occurring around 13 September 2018. Maltese travellers affected by such weather conditions should always monitor the weather updates and follow the advice of local authorities, including any evacuation orders. "Face in the Window" uploaded by bearden82.